How often do you think about the sacrifices and hard work that it takes to protect our rights, lives, and freedoms? This Veterans Day, remember the men and women who gave their lives and efforts to protecting our homes and the homes of millions around the world. 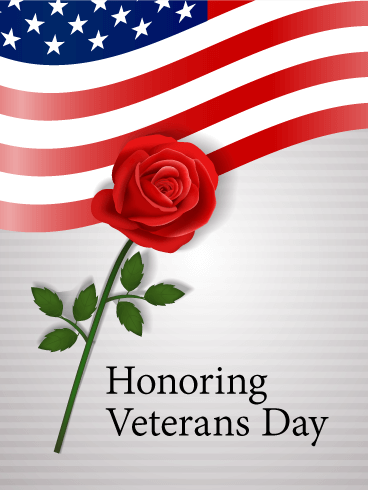 Send this Veterans Day card to everyone you know to remember our soldiers and everything they do for us and others. From sea to shining sea, Americans enjoy freedom and safety because of the efforts of our soldiers and veterans. Celebrate the gifts they've given us and the sacrifices they've made by sending this Veterans Day card to your family and friends. 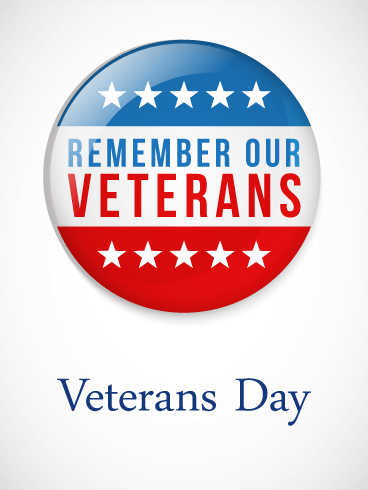 Use this holiday to remember and honor our veterans for everything they gave and everything they do for our country and citizens. Does your heart beat true for the red, white, and blue? 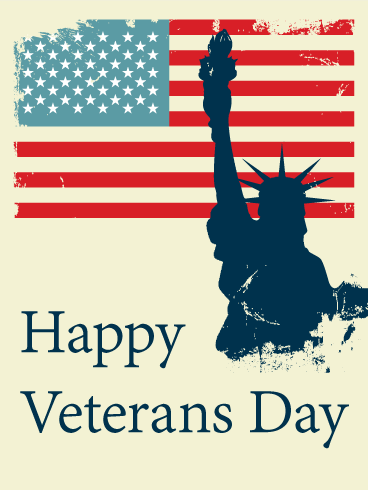 As you keep your eye on the grand ol' flag, celebrate the people who have protected and earned America's freedom by sending this Veterans Day card to your loved ones. 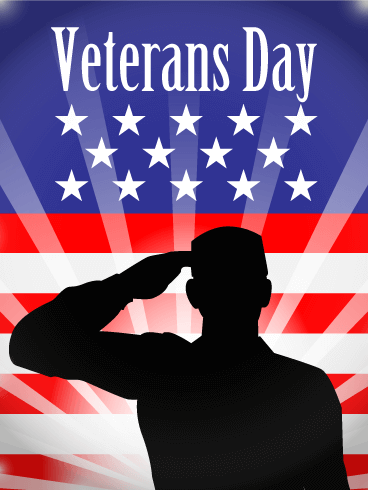 Our veterans have given their lives, work, and safety to protect our country, so give what you can by honoring and remembering them today!